Let's begin with a bit of Chicago history. The city was organized in the year 1833. The "windy city" has a population of well over 2.5 million people making it America's third largest city. Furthermore, it's metropolitan area has more then 9 million residents. 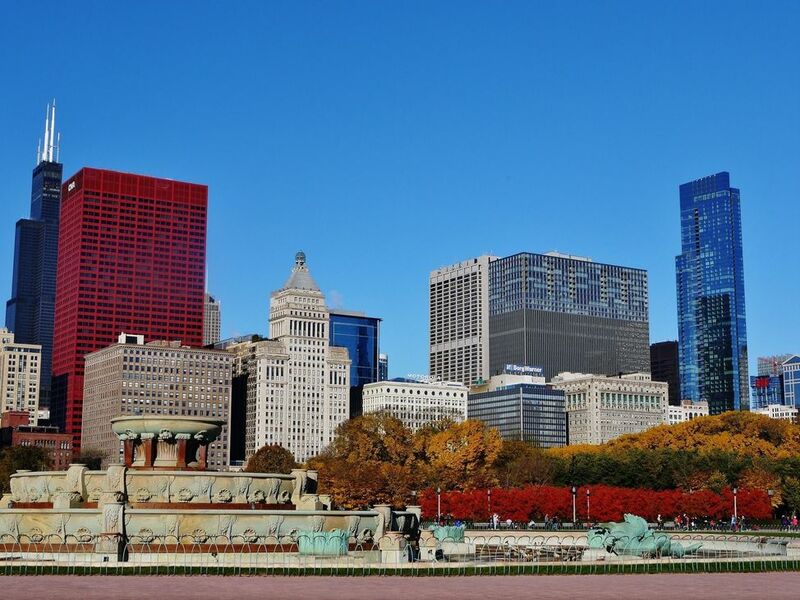 In 2003, Chicago was ranked as the fifth "Most Fun U.S. City" by Cranium Inc. Some of the factors taken into account in this survey were: restaurants, the number of sports teams, toy stores, and the amount of city budget dedicated towards recreation. In 1860, Abraham Lincoln was nominated as a candidate for president at a political convention in the city. In 1865, the Chicago Union Stockyard was complete. It is now the site of an industrial park. The Great Chicago Fire started on October 8th 1871. The fire lasted for almost two days and destroyed most of the city. In 1885, Chicago was home to the nation's first "skyscraper". At that time it was the Home Insurance Building and it was nine stories tall. In 1973 Chicago completed construction of the Sears Tower. At that time it was the tallest building in the world. Chicago offers many water-related and outdoor leisure time activities. In addition to over 500 parks, the Chicago Park District has over 30 beaches, nine lakefront harbors, 16 lagoons, and thousands of sports programs. Navy Pier is a Chicago landmark and tourist destination. It offers a unique collection of restaurants and shops in addition to recreational facilities. The Chicago Air and Water Show is another notable waterfront activity. It is a free event and happens each year in late summer. North Avenue Beach is the best place to view the show. Chicago has many things to do for those who love to go out at night. Chicago is famous for it's delicious food including steaks and gourmet pizza. For those who love music, Chicago has just about everything there is to offer. The city is famous for it's blues and jazz scenes but has many categories available. Nightclubs are positioned all over the city especially along Halstead Stree, Clark Street, the North Side, and Chicago's famed "Gold Coast".